Throughout this month on the Tune Up Fitness blog we’ve been exploring topics around Peak Performance. We aim to help you get in the best shape of your life and reach your fitness goals. But we want so much more than that for you… we want you to get fit and stay fit well into your later years of life. Peak performance should be more than a one-time-thing. You should be able to define and pursue peak performance for each stage of your life–to deepen your connection to your body and refine your body’s intelligence even more as time goes on. Imagine what it would feel like to age with strength, poise and grace. Imagine being 80 years old and helping your younger relatives do projects around the house, instead of feeling like a burden to your loved ones. Imagine a future when you can feel better and better, instead of one where you feel like you’re in slow decline. This is the future this post aims to help you design for yourself. To make a plan for the longevity of your health and fitness, we are looking at four different aspects of practice: Mindset, massage, movement and strength. Cleveland-based Tune Up Fitness instructor Sandy Gross is a specialist in sustainable fitness, and will lend insights and ideas. When it comes to sustainable fitness, your mindset matters! How you think about your body, self-care and exercise choices will determine the actions you take, and your commitment level. Here Sandy Gross offers some healthy perspective. What type of mindset supports sustainable fitness? “Many people are stuck in old fitness habits that are body shape focused, and need updating. Others have a myopic focus around short-term performance in one specific sport. This can be short-sighted too. 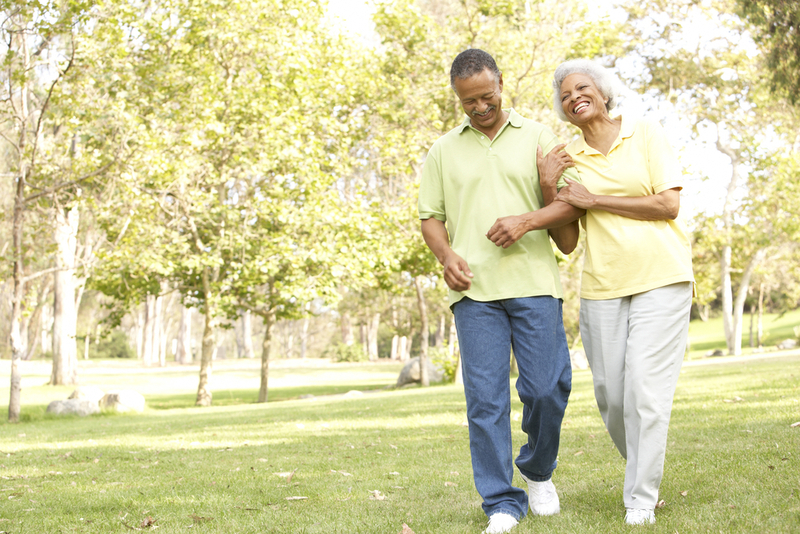 Sustainable fitness is the key to independent living well into old age, as pain-free as possible. “Just like an athlete has a goal of doing their best in their sport, for sustainable fitness, we should set goals with the ‘sport’ of healthy longevity in mind. We all need to think of ourselves as ‘athletes’ and our ‘sport’ is arriving at the age of say, 95, with the ability to move and care for ourselves similar to how we do at our age now. “So when considering your fitness choices, think: How is this serving me in the long-term? Will this activity (or my approach to it) burn me out in five years? How can I make my fitness choices more sustainable? In order to help maintain musculoskeletal health, should I just save my favorite sport for one or two times a week, with purposeful cross-training and recovery in between? Take a few minutes before a workout to remind yourself why you want to do it. Move away from the superficial and imagine the the things you’d love to be able to do in your older years. Let this mindset motivate how you approach your self-care and athletic practices now. Maintaining a healthy, supple soft-tissue system is imperative for your body to continually renew and regenerate itself. Furthermore self-massage can help fend off tension patterns that take a toll on musculoskeletal health and increase the risk of injury. A regular self-massage practice is a key piece of sustainable health. Following, Sandy Gross offers some insights on why and how. Why is self-massage good for sustainable fitness and what specific practice do you recommend? “Self-massage takes it deep. It helps work out the kinks that bigger stretches can’t touch. It generates shear between layers of skin and fascia, it awakens dormant and stiff body parts. It keeps your proprioceptors alert and on. It keeps you awake and vital feeling. If you’re new to self-massage, try the original Yoga Tune Up therapy balls, pin a ball to the wall at a tender spot on your back, shoulders, or hips and start exploring! Once you’ve found a particularly tense spot, see if you can “work it out” by rocking, sliding, wiggling and leaning into the therapy ball. Empower yourself to manage your own aches and pains. We at Tune Up Fitness aren’t just practitioners; we aim to be intrepid adventurers into the potential of our own bodies! We draw from all different styles and systems of movement to elicit new sensations and discover new possibilities within. Here is some very practical advice from Sandy Gross on approaching movement with the attitude of sustainability. Why should we move and what kind of movement is good for sustainable fitness? “Our bodies are designed to move. Movement generates synovial fluids in joints, clears metabolic waste (lymph), creates slide & glide between tissues of your body and basically up-regulates the whole system by doing what it’s designed to do–which is move. In a nutshell, movement is imperative for sustainable health. “My journey as a fitness trainer and yoga teacher has led me to distill all movement down to human movement patterns. An initial appointment with me always starts with a Functional Movement Screen to evaluate literacy in these patterns. Think: what is a human designed to do? I work with clients who value this idea and see it as preventative healthcare. They learn these patterns: squatting, hinging, pushing, pulling, rotating and carrying things. They learn to consciously use their joints and spine in ways that honor their design. This will prevent wear and tear and maximize longevity. Mix it up! Yes, run, bike, walk–do the stuff you love. But also bring variety into your workouts: Try CrossFit, modern dance, Thai Chi, Capoeira, Jiu jitsu, gymnastics… get out and play in all different ways. Finally we arrive at the topic of strength: To purposefully build your muscles, stabilize joints and fortify bones. Read on for Sandy Gross’s perspective on the final piece of your four-pronged sustainable fitness approach. What kind of strength work is good for sustainable fitness and what specific practice do you recommend? “Strength to me is body confidence–a level of self knowledge that shows up in fluency of movement. It is the chariot that will carry you through the rest of your days. Make your strength training mirror your life and you will mirror back to the world what healthy aging looks like. “I prioritize the movement patterns I mentioned above in the weight room as well. A sample week looks like this: on Mondays, I do pulling movements, Tuesdays, I hip hinge, Wednesdays, I push, Thursdays, I rotate/de-rotate and Saturdays, I squat. “Investing in qualified coaches or trainers is like preventative health care. But the exercises they teach you will make more sense to you if you evaluate your movement first with a movement educator who understands human movement patterns. Get your movement literacy and hygiene on track first. One great way for trainers to elevate their approach is by taking some of the educational trainings from Tune Up Fitness. Think of the daily activities you do: you pull, hinge, push, rotate, squat. You move in all different ranges of motion, with a variety of loads and repetitions! Mimic that variety in your strength training-practice. Beautiful! It’s all about right mindset that’s for sure. I would love to have self-care but struggle with it because of lack of discipline. I think it’s very important to truly deeply realize how important it is to take care of our bodies. And it requires a lot of contemplation and reflection and then right after-lots of action! thank you for this article! so important to get away from “shape” based fitness and relish movement for longevity. Loved the idea of the Super Bowl being independent living at 95! Thanks for sharing in the mindset, Nancy & Randy! I’ve been active my whole adult life, but I started weight training two years ago at 54, and it has transformed my relationship with my body. Not only did I surprise myself (and everyone else) by turning out to have explosive power, the proprioceptive boost I get from weights has given me the body awareness I’ve sought for decades. It enhances my yoga practice immeasurably. In a few years maybe I’ll take up something new and change up my sense of embodiment all over again. Thank you all for your thoughtful comments and continued dialogue on this topic! what a well written article. agreed! this is my goal for myself and my students. i’ve been through the crazy distance running and pounding my body into the ground. the world would be more well if we could follow the points made here! Such an important concept! 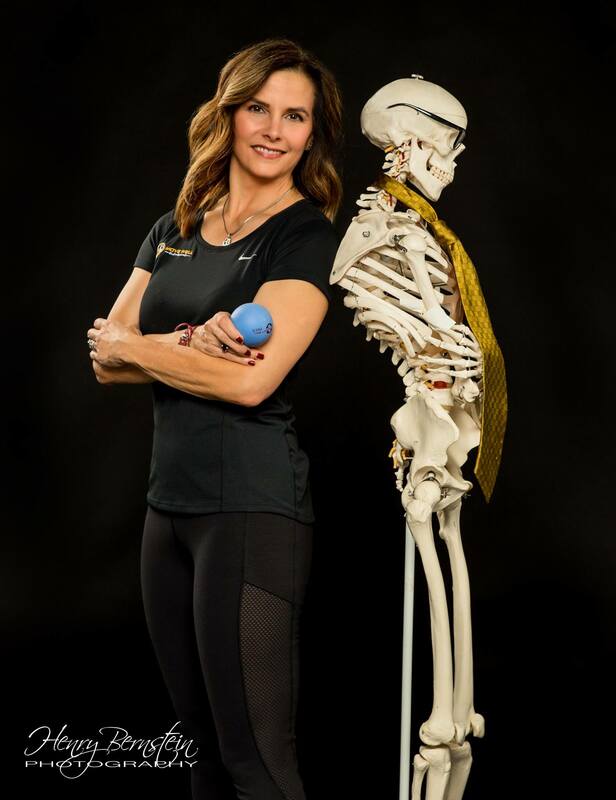 As movement professionals it’s essential that we offer practices and techniques that are not only suitable for the client’s current needs, but offer a sustainable road map for living well long-term in these bodies. Returning to the questions, “Why are we doing this (backbend, split, squat, etc)”? “How will it improve my quality of life, now and in 30 years?” Less instagrammability, more utility. My favorite tip here is the mindset practice, taking the time to think long term results rather than the superficial is such an amazing motivating tool. My son is only 2 years old and I want to be able to age gracefully as he grows up, nothing gets me more motivated than that! I think mind set and movement are pillars. If you want to have control of your body for the long haul you have to decided to put some work into it. Once your mind is made up, you just have to move it. Anyway you can. Exercise becomes less of a burden when you think of it as movement to improve your functioning in life. If I can hike up a mountain then climbing my apartment stairs will be a breeze. Love this! It is spot on!! !